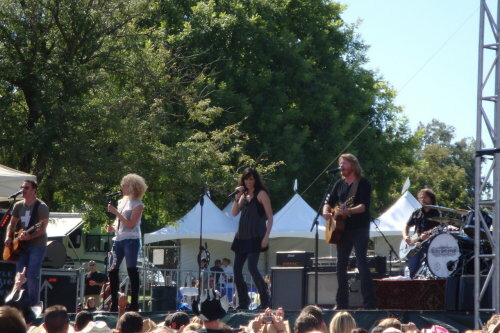 Labor Day Weekend: Tumblrs meet Little Big Town. The rep for the local radio stations comes into my work all the time. I know she’s just doing her job, but she’s a huge pain. She did however make up for it, with getting all five seven us into KNCI’s booth, where we were THIS close!